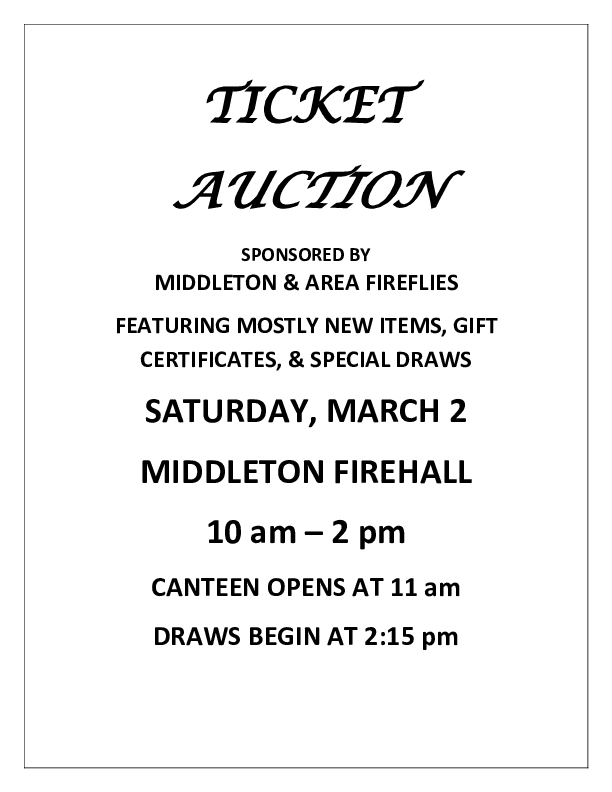 Join your Middleton Fireflies for a Ticket Auction with special raffles, gift certificates, silent auction items, and canteen facilities. Draws will begin shortly after 2 pm. 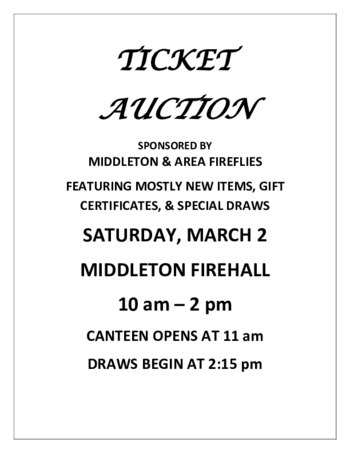 There will be many new and nearly new items donated by local businesses and individuals.